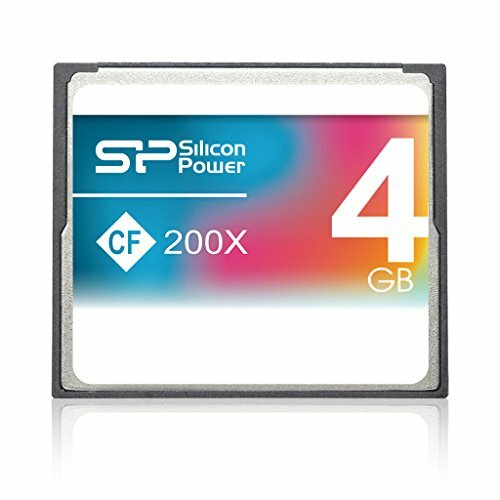 Silicon Power 200x & 400x CF Card supports PIO Mode or Multi-Word DMA or UDMA transfer mode in quad-channel configuration. It is the faster and more able for professional photography applications to cature data in fractions of a second. All Silicon Power cards are manufactured to the higest standards and come with a lifetime warranty. Product Manual Features: High-Performance Speed: 200X (30Mb/s) Great value for amateur photographers. Multi-platform compatibility for DSLR cameras and devices with CF slot. ATA interface Low power consumption Support PIO mode / MWDMA / UDMA Support for 8-bit or 16-bit host data transfer Built-in Error Correcting Code (ECC) to detect and correct transfer errors Compliant with RoHS requirement.